How can it be possible that most doctors do not understand the true cause of back and neck pain? Like many people you have been told that the problem with your pain is a specific condition like, Degenerated Disc Disease, Spondylolisthesis, Herniated or Bulging Discs, Sciatica Leg Pain, Stenosis, Arthritis and Scoliosis Spinal Curvature. In 1996 doctors Vert Mooney, MD, Jeffery A Saal MD and Joel S Saal, MD discovered the cause for more than 80% of all back, neck and sciatica pain is the loss of the "Pump Mechanism". ​I am willing to bet that most readers, doctors included, have never heard of the pump mechanism. The spinal disc gets nutrition from a mechanical process called the "Pump Mechanism". 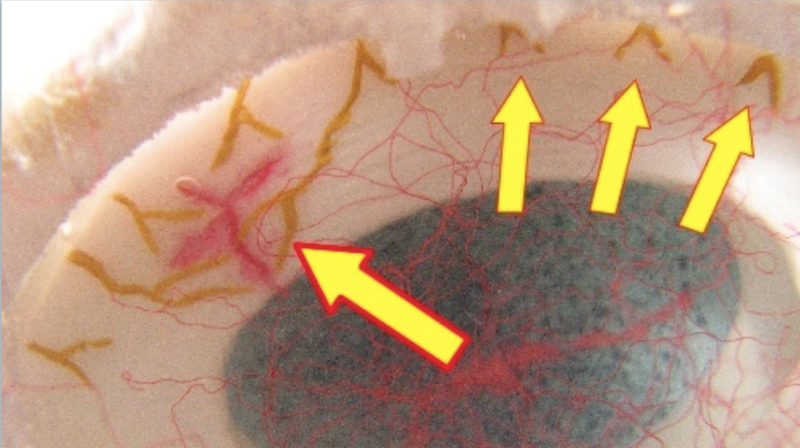 When this fails a disc is unable to heal and enters a chronic cycle of degeneration, bulging and germination, eventually leading to stenosis (end stage arthritis). Injuries to the spine usually injure the delicate blood vessels feeding nutrition to the discs an therefore disrupting the pump mechanism. Without this constant supply of blood the discs become ischemic. 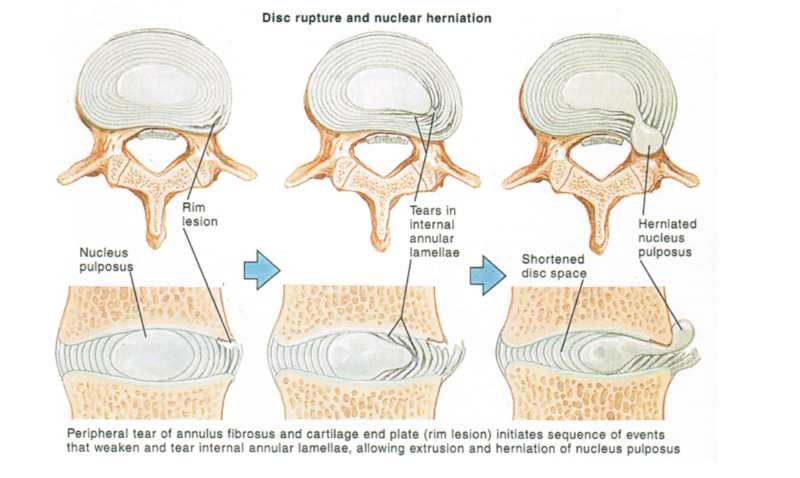 As the disc continues to degenerate it will leak inflammatory chemicals that produce pain and further injury to surrounding tissues. This is a progressive, degenerative condition. 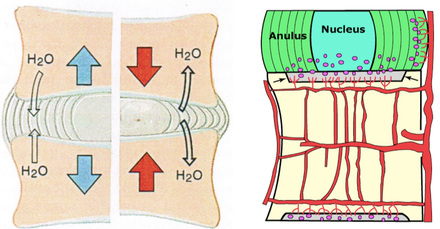 The above diagram is very important in understanding the true mechanism of most pain and dysfunction. The secret if there is one exists in the health of the vascular system, most conditions are the result of an injured blood supply which in true prevents the body's natural healing ability. Discs that are degenerated show abnormal vascularity. -Dr. Michael Martin, MD Department of Neurological Surgery, University of Oklahoma. Many people have been told that the spinal dics cannot heal naturally and this is not true. 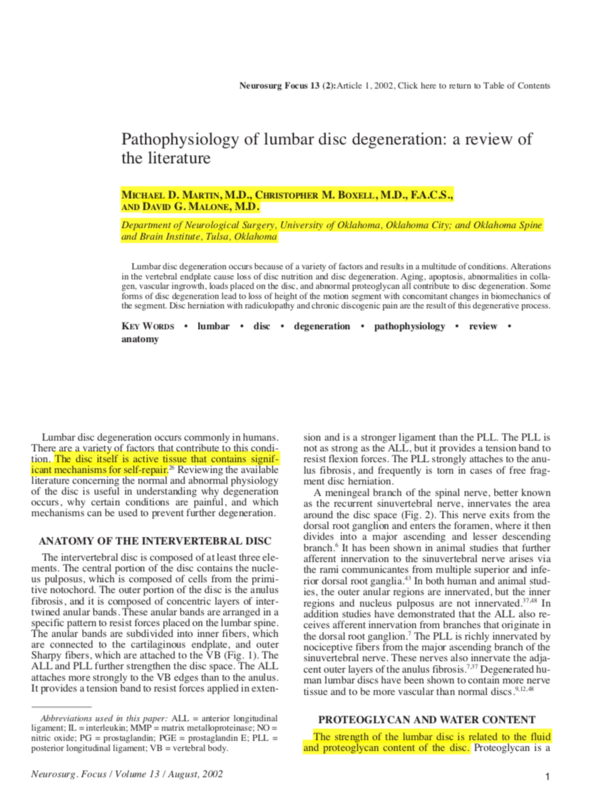 Spinal discs have the ability to regenerate and heal, please take a minute and read this medical article that supports my statement. 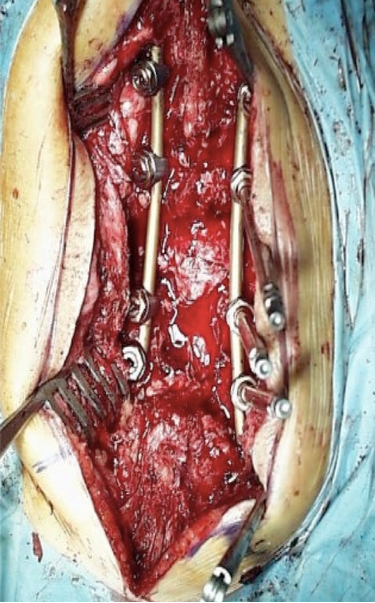 This article is written and endorsed by the Dr. Michael Martin, MD, Chris Boxell, MD and David Malone, MD Department of Neurological Surgery, University of Oklahoma. In Project Briefs: Back Pain Patient Outcomes Assessment Team (BOAT). In MEDTEP Update, Vol. 1 Issue 1, Agency for Health Care Policy and Research, Rockville, MD, Summer 1994. John P. Kostuik, MD, and Simeon Margolis, MD, Ph.D. Low Back Pain and Osteoporosis. The John Hopkins White Paper on Low Back Pain and Osteoporosis, 2002. As a controlled stress is applied to the small blood vessels that feed the injured disc they temporarily dilate increasing blood flow and helping remove inflammation. Over time as this stress is continued to the delicate blood vessels the body responds by promoting vascularization to the area in need. This increases the blood supply and allows for scar tissue to form in the small cracks and tears (annular tears) of the injured disc. We begin to see this process start in the first 2-4 weeks of treatment however a spinal disc requires unto 500 days to completely recover. 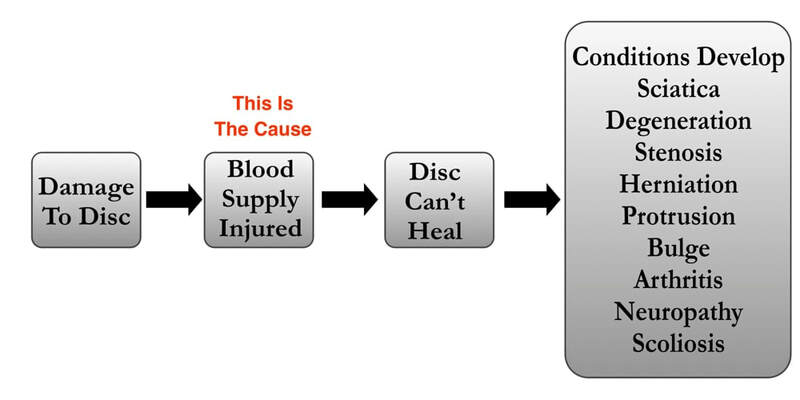 Even when you feel better the disc will need just over a year to fully stabilize. Any movement that involves torque, such as golf, tennis or lawn bowling will place stress on the disc and hamper this healing process. We give patients a very specific set of instructions to follow during the healing phase so they can enjoy an active life without re-injuring the spinal disc before it is completely stable.​​ The rule is to avoid flexion and torque (rotation). Patients ask me how long before I can do these movements? The realistic answer is, it depends. Flexion and rotation will always place the spinal disc under stress and cause injury and degeneration 100% of the time so these are always to be avoided but with proper post treatment conditioning most patients return to normal in about 3 months. We encourage all patients to start walking immediately as the number one way to assist the healing. Once you are feeling better, you may add in an activity you once enjoyed doing, but only at a 10% level. Using a common sense approach, if you feel okay at a 10% level, stay at that level for a brief period of time and slowly add more in, judging it by how you feel. If you notice an increased level of pain the next day, back off from it and listen to your body. Always remember, avoid flexion and rotation as a lifestyle management because those two movements always stress the discs. There are many effective options to explore before surrendering to spinal surgery or pain management. Schedule a consultation and let's explore the possibilities. My goal is helping people live incredible pin free lives with angiogenic treatment. I am dedicated to changing the perception of what is possible with new ideas and energy. Share my website with someone you know and contact me if I can be of further help, I am yours in service.